When the first document in Visio 2003 is opened / created using templates from Microsoft Office Online (which is default), the user gets a question about updating links from an online source. 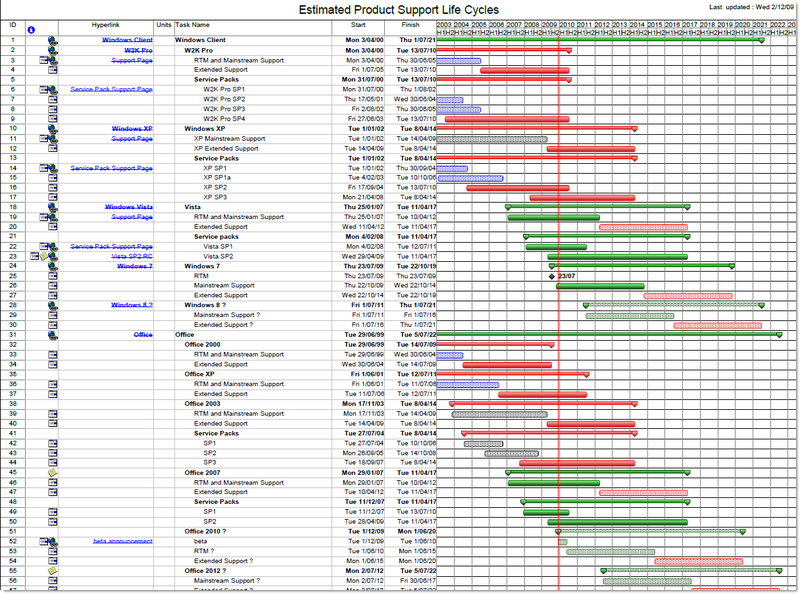 A former Microsoft developer, Chris Green, “accidently” published a PDF which shows the product life cycles of the Microsoft products. 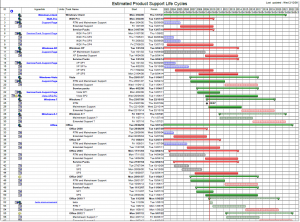 Altough its a draft document from a unverified source, it’s still interesting to get some insights in the product life cycles of the product range. Two of the most interesting items in the list are the products “Windows 8” and “Windows Server 2012” which are scheduled for july 2011 and july 2012. Besides the Windows platform there are more interesting product releases scheduled, like Office 2012 (july 2012), SQL 2011 (july 2011), Sharepoint 2013 (july 2013), Exchange 2013 (july 2013), etc. etc.